“Flat Illustration” means minimalist design that emphasizes usability. 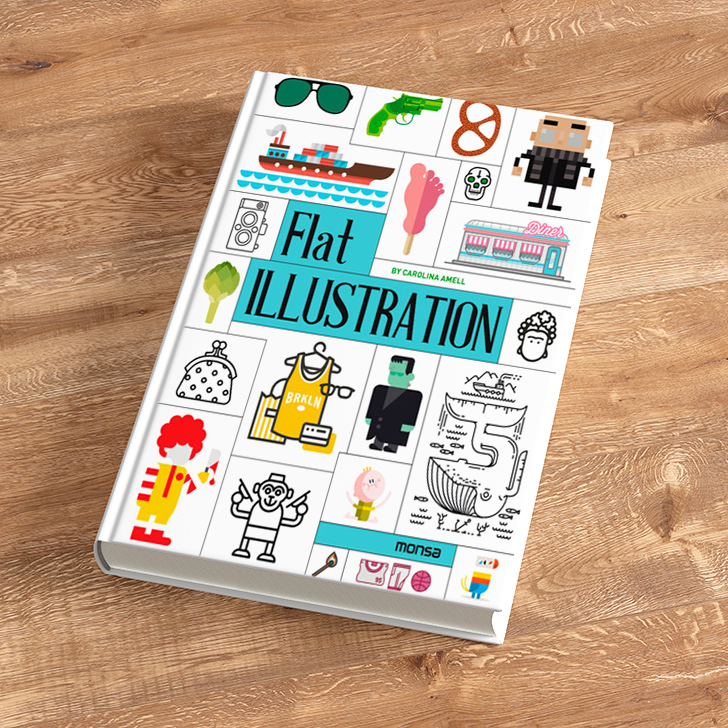 It features clean, open space, crisp edges, bright colours and two-dimensional/flat illustrations. It has its origins on the web designers, attempting to bring real life to the screen. This technique takes advantage of a more simplified illustration, where ornamental elements are viewed as unnecessary. We have compiled several works from great artists such as Dario Genuardi, Mariadiamantes, Miguel Camacho and groovisions. The book includes a brief explanation about the designers and high resolution images of the final works.